Lighthouses conjure up romantic images of sea exploration, rough weather in remote parts of the world and avoided shipwrecks. 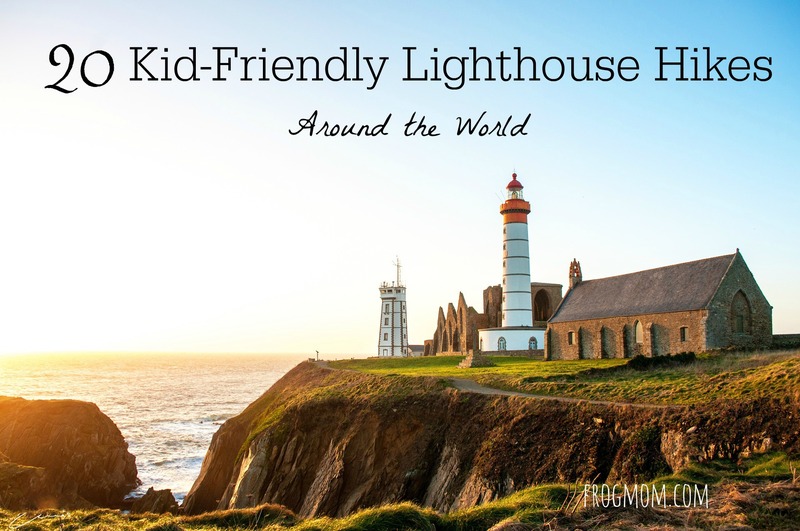 Fortunately, kid-friendly lighthouse hikes turn lighthouse visits into fun educational days out, complete with breathtaking ocean views, navigation history and if you’re lucky, coastal wildlife. 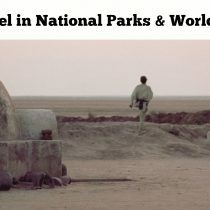 These easy hikes will take you to beautiful spots with a story to tell and, more often than not, a flavor of History and local culture too. 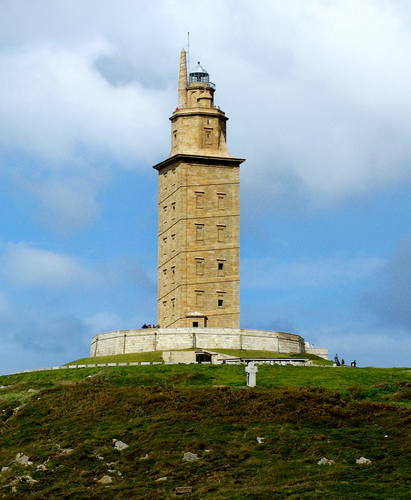 The only ancient Roman lighthouse still in use, the Tower of Hercules rises 55 m high on a rock at the entrance of La Coruña harbor in north-western Spain. Now a UNESCO World Heritage Site, the lighthouse is open to the public and you can access it via a short 300m walk from the car park. The kids will enjoy climbing the 240 steps to the top where panoramic views on the Atlantic Ocean await. 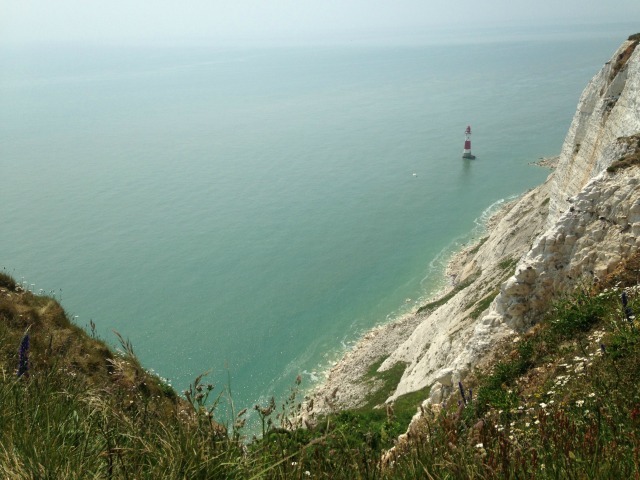 You can also walk along the coast near the tower for fantastic coastal scenery. 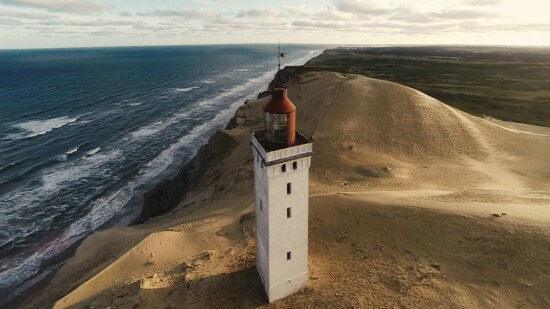 A lighthouse that’s 1,900 years old, isn’t that awesome? Guarding the entrance to the San Francisco Bay, Point Bonita Lighthouse was built in 1855 and uses both a light and fog signal. A half-mile trail takes you from the car park through a tunnel and over a suspension bridge to the rocky outcrop where the lighthouse stands. It’s a windy walk, but the views are amazing and it’s a prime spot for migrating whales. 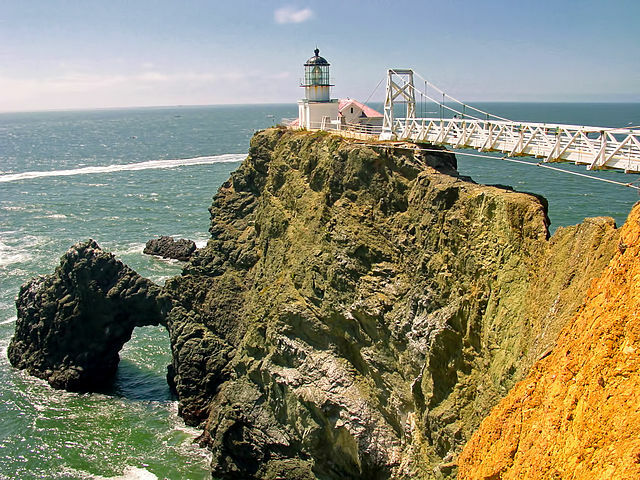 For a day trip in Marin, you can combine Point Bonita with a visit to Muir Woods National Monument and a drive over the Golden Gate Bridge. 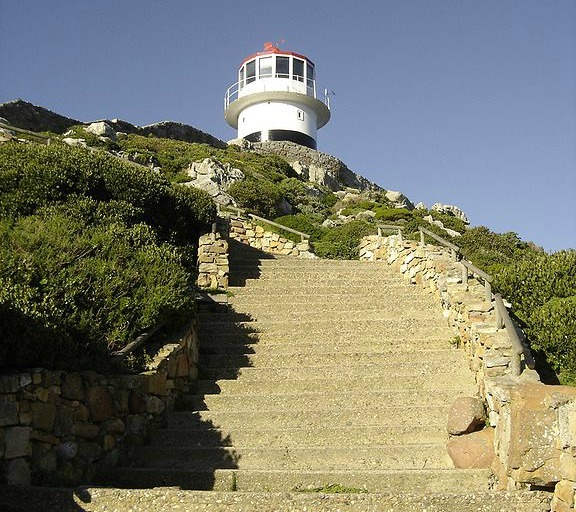 Just 60 km from Cape Town, 120 steps crafted from natural stone lead to the old (decommissioned) lighthouse on the Cape Point Peak, an 1850 lighthouse at the most south-westerly tip of Africa. Why was it decommissioned? Too high up, the lighthouse’s beam was often obscured by mist and foul weather, resulting in an infamous 1911 shipwreck and the construction of a new lighthouse close-by. Kids will love the Flying Dutchman cable-drawn funicular railway to go up (or down) the lighthouse and the African penguin colony at Boulders Beach, Simon’s Town. The mother of them all! 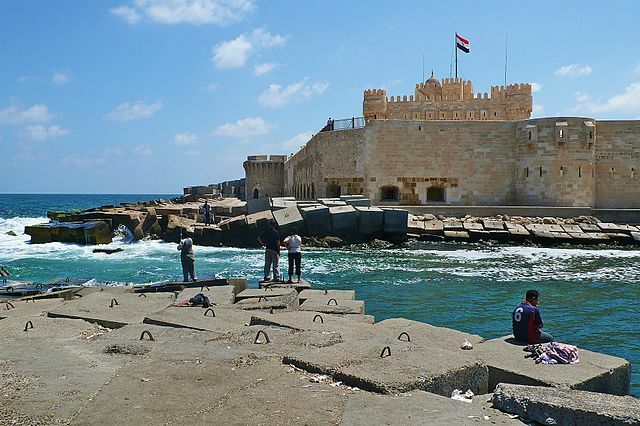 Fort Qaitbay is one of Alexandria’s best known tourist attractions and is significant as the location of the ancient Pharos of Alexandria. This continuous yellow light is mounted on the wall of Fort Qaitbay, named for the sultan Al-Ashraf Sayf al-Din Qa’it Bay who built it in the 1480s. In fact, much of the stone in the fort came from the ruins of the Pharos. The ancient stones can be seen from the outer walls, great pillars of red granite larger than other stones. 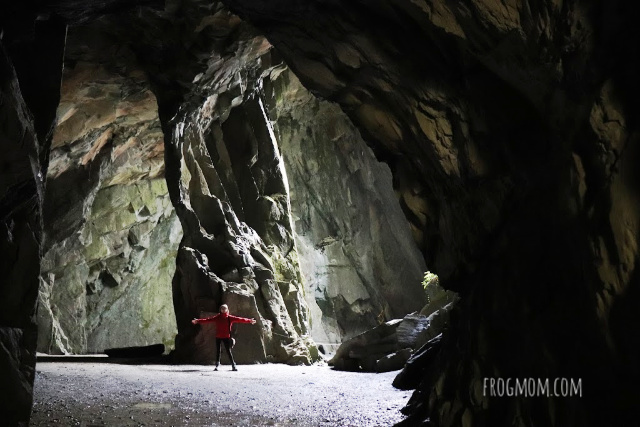 Kids will love visiting the fort’s many tunnels. 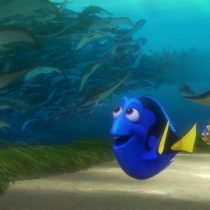 Navigating in Hawaii is open ocean as soon as you leave the harbor, making it challenging even to experienced mariners. In addition, the islands funnel wind and currents between them, creating some very treacherous wind and swell conditions. 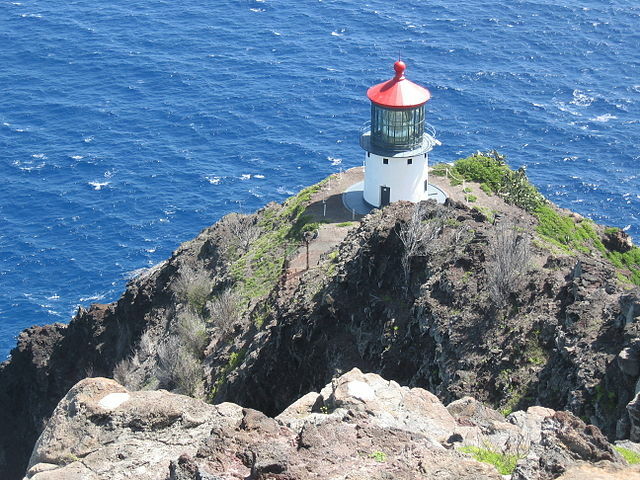 Of course, lighthouses are essential to safe navigation in Hawai’i. Located on the island of O’ahu, the Makapu’u Lighthouse was built in 1909 and can be reached via a 2-mile (round trip) trail. From November to May, the trail is a great place to view migrating humpback whales. Built in the sea at the foot of spectacular chalk cliffs near Eastbourne, Beachy Head can easily be viewed from the trail along the bluff top. 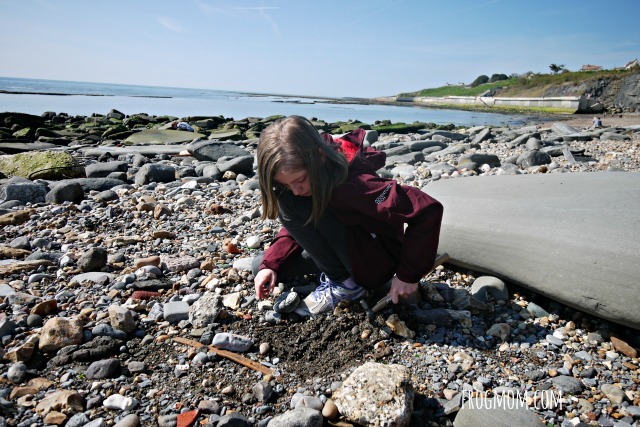 With kids, the best trail starts from the Birling Gap National Trust visitor center and follows the coast on the South Downs Way on a 2-mile hike (one way). Don’t forget to pack swim suits as kids can have a splash at the beach when you’re back at Birling Gap. 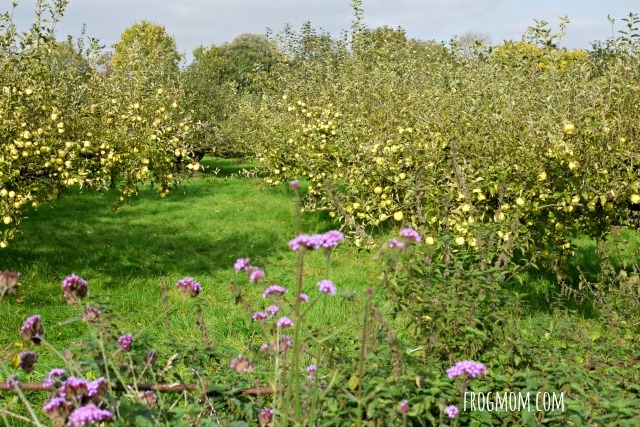 Makes a great day trip from London. Japan is located in middle latitudes and frequently visited by extra tropical cyclones, resulting in major changes in weather and sea conditions. The heavily congested Tokyo Bay, Ise Bay, and the Seto Inland Sea are dangerous areas for ships because of unfavorable geographical conditions, such as narrow channels, sunken rocks and complicated tidal currents. Hence the importance of lighthouse. Built in 1903 at the westernmost tip of Shimane, Japan, the Izumo Hinomisaki Lighthouse is the tallest lighthouse in Japan. Kids will love the fact that, to climb inside, you must remove your shoes and wear slippers. To get to the lighthouse, follow the walking path from the car park and enjoy views on the rugged coastline. 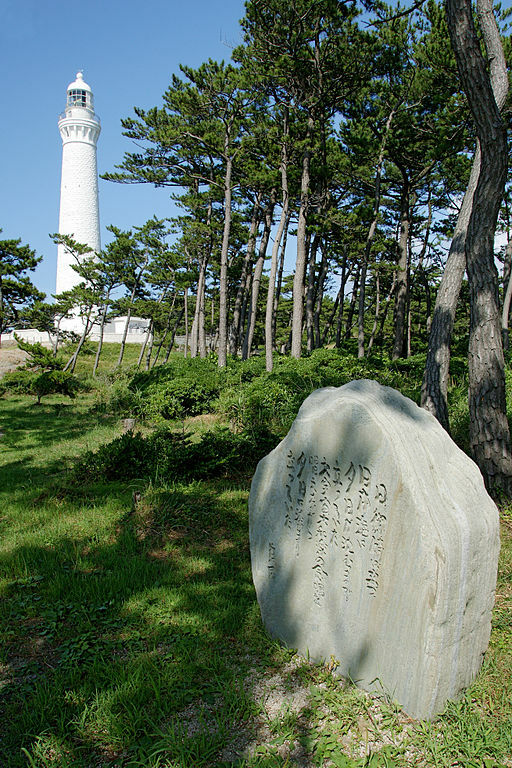 You can combine this lighthouse with a visit of the World Heritage site Iwami Ginzan for a day trip. The Isle of Skye is known for its rugged landscapes and picturesque fishing villages, but also for the infamous Scottish weather. Westerly winds and strong tides make the existence of good lighthouss paramount in secluded spots like Neist Point. A short (but sometimes steep) 1 1/4 mile walk takes you to this lighthouse built in 1909 by David Stevenson. From the path, you can see stunning views of the high cliffs and get the feeling that you are standing at the edge of the world. You may even see Lewis and Harris on a clear day. 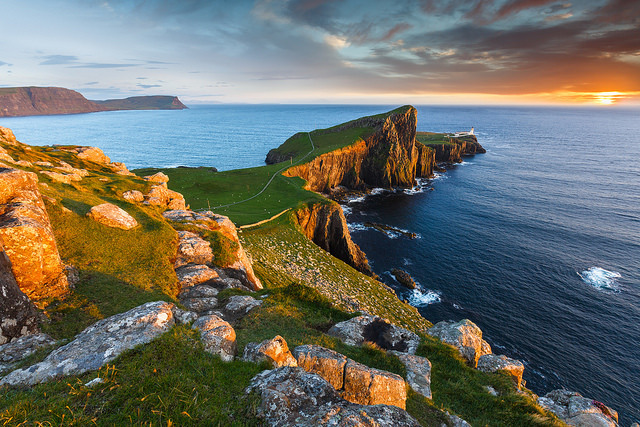 Kids will enjoy spotting sheep along the way (this is Scotland) and you can combine Neist Point with a visit of Dunvegan Castle for a full day trip. 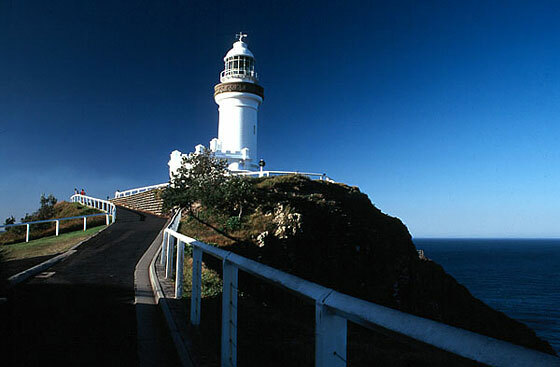 Guarding the easternmost tip of Australia in New South Wales, Cape Byron Lighthouse is part of the Cape Byron State Conservation Area. A 3.7 km loop trail takes you on a hike through rainforest, beach, grassland clifftops to the lighthouse. In winter, you can see dolphins and whales and in summer, the beach is perfect for swimming and snorkeling. Kids will enjoy the Maritime Museum housed in the former lighthouse keeper’s office. In 1883, the Krakatoa volcano erupted and 36,000 people died, from the volcanic eruption and resulting tsunamis. The current Cikoneng Lighthouse, built in 1885, replaces the original lighthouse built in 1806 and destroyed in the 1883 tsunami. Located in the beach city of Anyer on the island of Java, this lighthouse stands 75 m tall above the sea and over a small park. You can climb 300 steps for amazing 360 views of the surrounding lush coastline, coral reefs down below and islands in the distance. 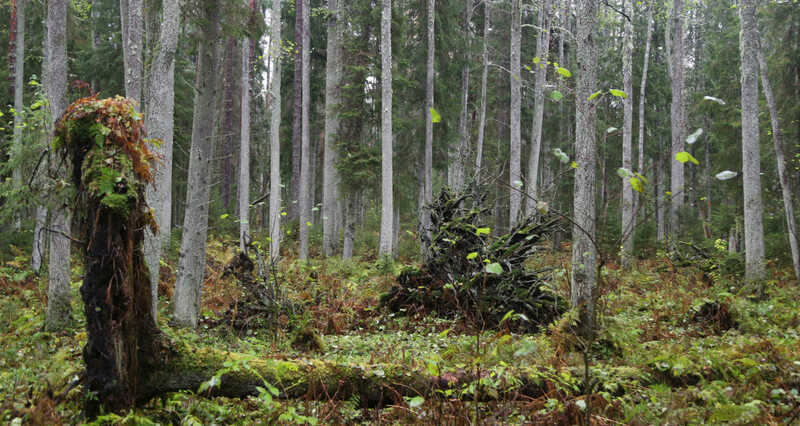 Finland counts about 60 lighthouses, making it a choice travel spot for lighthouse enthusiasts. 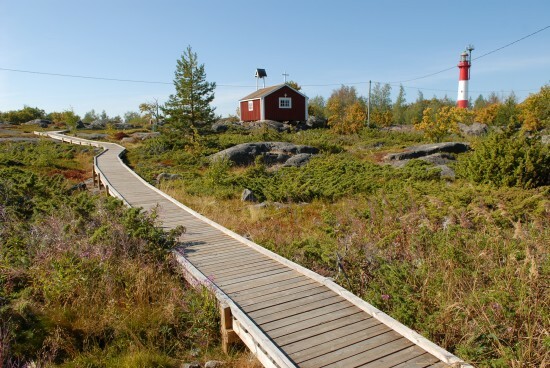 On the picturesque lighthouse island of Tankar, traditional Finnish summer cottages are still used by locals. A daily boat service allows day-trip visitors from Kokkola to enjoy the homely atmosphere of the island and salmon soup served in the family run café restaurant. Kids will enjoy exploring the nature trail, paying a visit to the cosy little 18th century wooden church and the seal hunting museum. The last bastion before Antarctica, the New Zealand coastline is used to South Pacific seas and strong winds. Its lighthouse system is also very modern and has been for several decades. 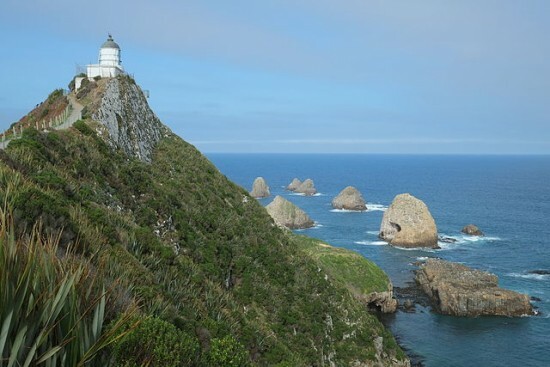 Not only were all the lighthouses electrified in the 1950s, but the main lights and beacons around New Zealand are now monitored remotely from Wellington (capital city) by Maritime New Zealand. Nugget Point, on the South Island, is a steep headland on the Otago coast that overlooks a scattering of rocky islets called the Nuggets. A 10-minute walk on a well-maintained path takes you to a viewing platform right next to the Tokata lighthouse dating from 1870. 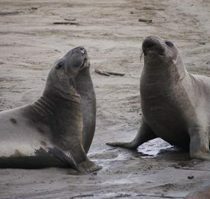 From there, you can see the Nuggets and if you look down, kids should be able to spot fur seals and other wildlife. Fans of dark skies should consider a night visit as the lighthouse sits in an incredible spot for pictures of the Milky Way. 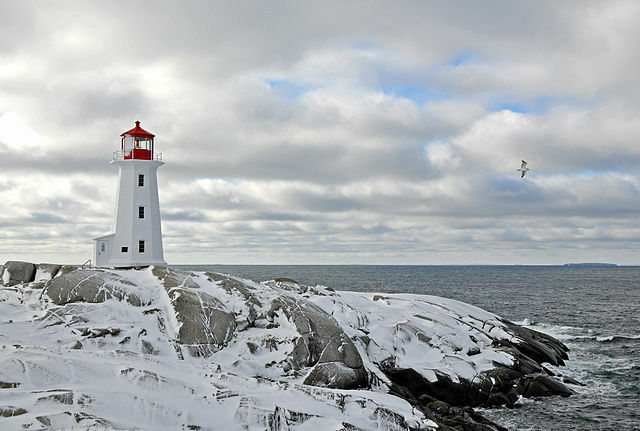 Nova Scotia has over 160 historic lighthouses but Peggy’s Point 1915 Lighthouse is perhaps the most photographed of Canada because of its picturesque location and iconic design. Peggy’s Cove is a small fishing village an hour’s drive from Halifax and the lighthouse is on Nova Scotia’s Lighthouse Trail scenic drive. Only a short walk from the car park, Peggy’s Lighthouse is prime rock adventure territory for kids and you’ll have to make they’ve got good shoes before hitting the rocks. After they’ve had their fill, retreat to the fishing village for a tasty lobster roll lunch. 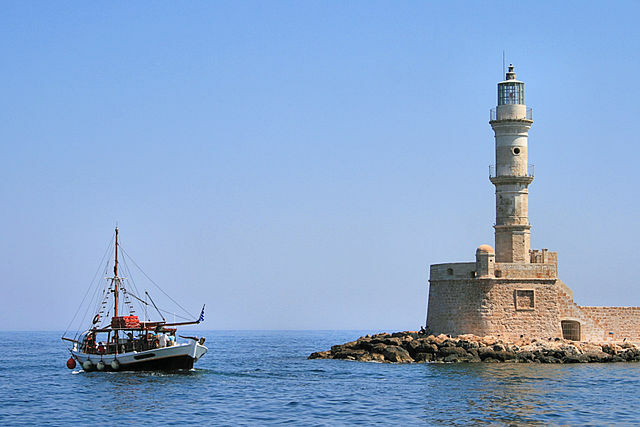 On the Greek island of Crete, the Chania lighthouse reflects the complex history of the area. Originally a Venetian lighthouse, the building was destroyed during the 19th century Turkish occupation and rebuilt as a minaret. The modern lighthouse is often referred to as “Egyptian” because it was built when Crete was occupied by Egyptian troops supporting the Ottoman Empire. Walking around ancient Chania is a trip back in time and kids will enjoy strolling along the waterfront to the base of the lighthouse. For another view, walk on top of the green zone known as the West Ditch. In Freycinet National Park on the East Coast of Tasmania, Cape Tourville Lighthouse is a sight to behold at sunrise. A short 600 m walk from the car park will lead your family on boardwalks to the new lighthouse built in 1971 and its viewing platform overlooking the Tasman Sea and Wineglass Bay. If the kids are feeling energetic, a longer walk to Wineglass Bay lookout is in order. 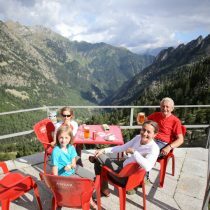 You might see wallabies and the view is well worth the effort. Yo ho ho ho, the pirate’s life for me! Florida is famous for its sand beaches and blue waters, but also for its rich pirate history. 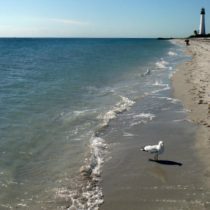 At the southern tip of Florida, the Keys (a chain of small islands) became the base of famous pirate raids along the Florida coast against the Spanish trade from the 16th to the 18th century. 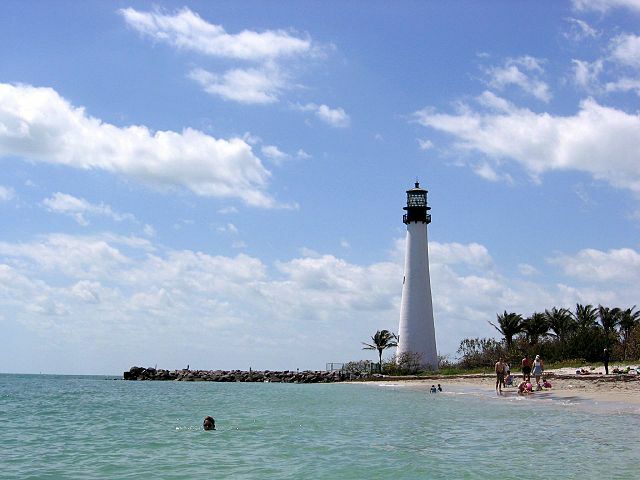 Pirates were finally chased away in 1822 and three years later, in 1825, the Cape Florida Lighthouse was built on Key Largo. Part of the Bill Baggs Cape Florida State Park, it is open to the public and you can climb up to the top for views on Biscayne Bay and Miami from the outside deck. Beyond the lighthouse, kids will have fun walking or biking the many trails of the park, before or after a swim in the crystal clear waters. 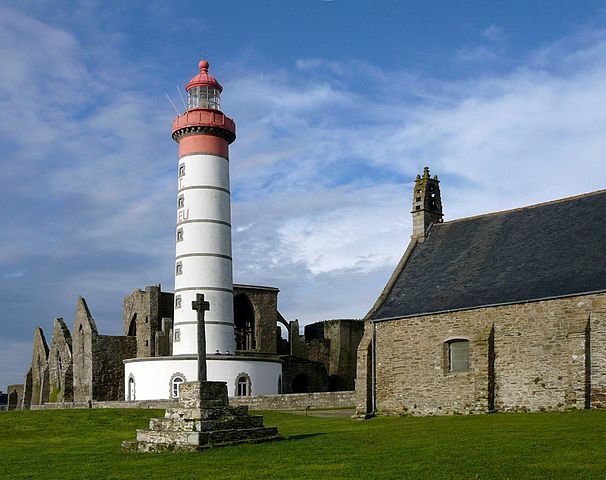 Located in Brittany, the mystical Saint Mathieu Lighthouse features the ruins of an 11th century abbey as well as a lighthouse, a national memorial to seamen who died in the service of France and a history trail. The abbey bears an interesting history. In 1250, the monks of the abbey lit a fire on top of a tower to guide ships. Several centuries later, in 1835, the present lighthouse was inaugurated next to the ruins of the abbey. Its white light flashes every 15 seconds to point the way into the Brest narrows. Do allow some time to walk with your kids along the bluff-top trails to enjoy spectacular sea views. 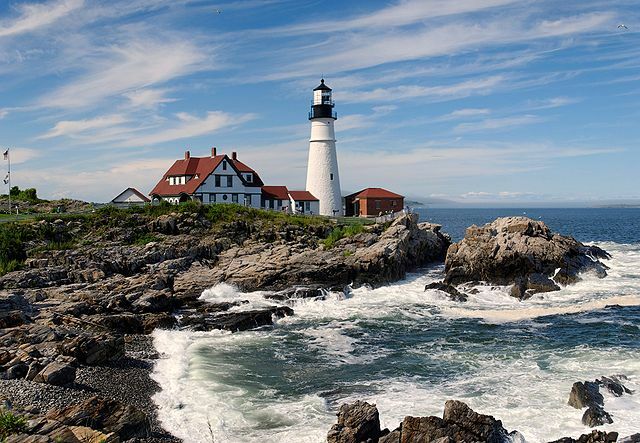 The lighthouses of New England are famous for their stories of Revolutionary battles, shipwrecks and daring rescues, and Portland Head Lighthouse at Cape Elizabeth is no exception. In 1776, the new Town of Cape Elizabeth posted a guard of eight soldiers at Portland Head to warn citizens of coming British attacks as residents were deeply committed to American independence from British rule. Construction of the lighthouse began in 1787 at the directive of George Washington, and was completed on January 10, 1791, making it the oldest lighthouse in Maine. When visiting, take your time to the museum for fun historical details–such as the fact that whale oil lamps were originally used for illumination–and follow mile-long trail along the cliff. 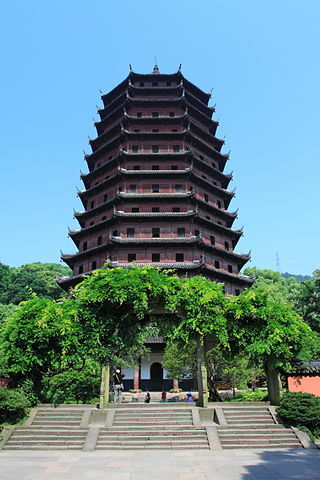 Last but not least, the Liuhe (Six Harmonies) Pagoda in Hangzhou, China, is probably the most famous lighthouse in Asia. It was originally built during the Northern Song Dynasty in 970 A.D., but subsequently destroyed and rebuilt in several wars. The current brick and wood structure was built in 1152 and the wooden corridors around the Pagoda’s 13 floors in 1900. The six harmonies refers to the six regulations of Buddhism as well as the 6 directions (heaven, earth, north, south, east, and west.) 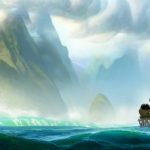 The lighthouse part is really interesting. Because of its strategic location, the Liuhe Pagoda served as a watchtower. 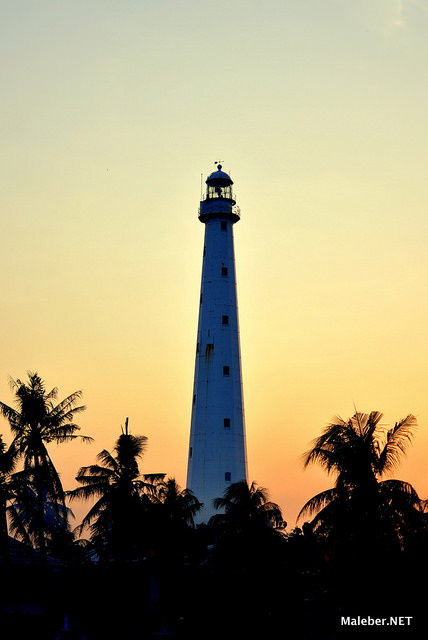 However, above the Qiantang River, it also served as a lighthouse with a bright lamp installed at the top. Behind the Luihe Pagoda, take the kids on the nature walkway with terraces featuring sculptures, bells, shrines, and inscriptions. This concludes a tour of lighthouses around the world and shows how diverses lighthouses have been, as much in design as in history, importance or use.